KOSCIUSKO — An Argos woman was arrested after Winona Lake Police responded to a call about two individuals at A & A Auto Sales. 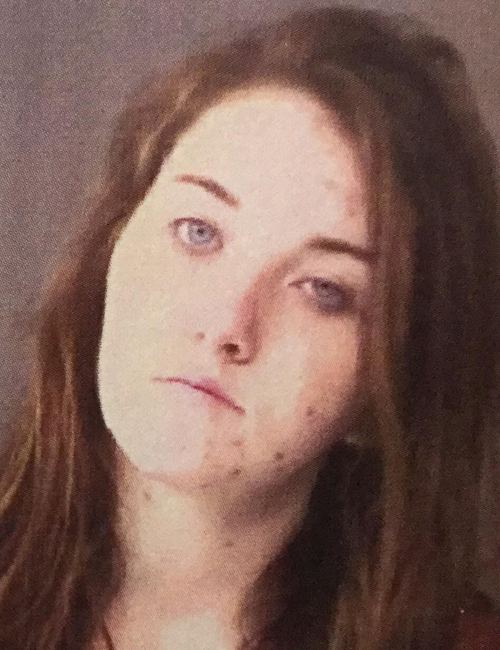 Megan N.Sheppard, 18, 17357 Kenilworth Road, Argos, is being charged with dealing methamphetamine, a level 2 felony; and possession of methamphetamine, a level 3 felony. According to the affidavit of probable cause, on Saturday, Dec. 15, Winona Lake Police arrived at A & A Auto Sales after a call came in stating that two individuals at the car lot appeared to be impaired. Officers observed a male get into a vehicle and drive away. As officers followed, the vehicle reportedly made an improper turn at an intersection. A traffic stop was then conducted. Sheppard was identified as a passenger in the vehicle. The driver was allegedly exhibiting slurred speech and did not have a valid license. Officers found a scale and a crystal substance in the vehicle. Sheppard and the driver of the vehicle were both placed under arrest, and Sheppard was transported to the Kosciusko County Jail. At the jail, Sheppard informed jail staff that she had a bag of methamphetamine in her possession. She handed over a plastic bag that contained a crystal substance which field-tested positive for methamphetamine. The bag weighed approximately 42.5 grams. Sheppard was booked at the Kosciusko County Jail Saturday, Dec.15, on a $5,250 surety and cash bond.